What Bible verses do you see most often taken out of context? How does proper context change what people perceive verses to mean? What is one that you could add to this? When we take text out of their context we are stripping the meaning of the verses and give them a different, and usually a wrong meaning. Maybe you’ve heard it said that text taken out of context makes it a pretext and usually a false one at that. This is true. That’s how cults are started. When we take text out of their context we are stripping the meaning of the verses and give them a different, and usually a wrong meaning. Far too many people try and find one Bible verse and come up with a doctrine but that’s not the way to read the Bible. When we want to take out or interpret Scripture properly, we need to read the entire paragraph, the entire chapter, and sometimes the entire book. To take one verse and use it to build a belief system is highly fraught with error. The result is that Bible verses are taken out of context and misapplied. Here are my top picks for the 6 Bible verses that I believe are most frequently taken out of context. Jesus is not telling the listeners to not judge but to judge others after you have repented of your own faults and sins. It’s like a hypocrite whose having an adulterous affair judging someone who just told a lie. The hypocrite is right that telling a lie is sin but how can he or she judge someone else while they are committing adultery!? It would be ridiculous. Notice that Jesus is saying that the person should first judge themselves to make sure that they’re not committing the same or a worse sin. Only when they take the speck out of their own eye do they have any right to correct a brother or sister. Clearly Jesus is saying “take it out” of your own eye first and get your own house in order. The word “judge” in its context is more like condemn and we are not to condemn others but if a person in the church is openly sinning, then that person must be put out of the church so you must make a judgment on this. Judging sin in the church is a command when the sin hurts the church (1 Cor 5; Matt 18:15-20). Jesus is not saying that we shouldn’t defend ourselves but He is using hyperbole or exaggeration. What He means is that when others insult you, don’t retaliate. Just turn the other cheek, not to have them slap you there…but to turn the other way and to leave vengeance to God (Rom 12:19. ). Even Jesus “When he was reviled, he did not revile in return; when he suffered, he did not threaten, but continued entrusting himself to him who judges justly” (1 Pet 2:23). Notice that this is about church discipline and that if two or three of the witnesses (v 16) agree on the matter, then Jesus is also in agreement with them. This verse has been misquoted to mean that you don’t need church but if there are “two or three…gathered in [Jesus’] name, there [He] is.” The reason that is wrong is if you are born again, Jesus is already with you and you don’t need two or three others to join you in order for Him to be with you. Matthew 18:20 is also taken out of context when people claim that if two or three are gathered then whatever they ask “it will be done for them by [the] Father.” God may or may not answer that prayer the way you want Him to depending upon whether it’s the will of God or not, but it’s not a hard, fast rule that just by having 2 or 3 people getting together, only then will Jesus be there or whatever we ask for God will grant. What the “eye for an eye” meant was not that we should do to others what was done to us. This paragraph (vv 22-25) dealt with if a pregnant woman was hit during a fight between two men and the child was injured, then they should pay for their crime. If a child loses their life over this, then they should lose their life. What is interesting is that this proves that a child is called a child even when in the mother’s womb, indicating that God considers the unborn as a living, breathing human being and whose life should not be aborted. Yes, God is love, but that is only one tiny fraction of the manifold attributes of God. This is like someone saying something about me to another person; “Jack is a cousin.” Yes, I am a cousin, but I am also a husband, a father, a grandfather, a son, an uncle, and so on. You cannot elevate one attribute of God to the exclusion of His other attributes. Many say that a loving God would not send someone to hell because “God is love.” Yes, God is love but love and discipline go together. Their “God is love” is a God created in their own image. First and foremost, God is holy. He cannot even look upon sin and that is why He turned away from Jesus, His only Son, at the cross. I love my children and my grandchildren and I would discipline them if they ran out into the street to play because they could get hurt, or worse, killed. My love comes with my discipline. It is exactly because I love them that I do discipline them, just as God disciplines every one of His own children (Heb 12:5-7). What is a verse that you see taken out of context frequently? One verse we know that is in context says it all for those who have repented and trusted in Christ. Second Corinthians 5:21 says “For our sake he made him to be sin who knew no sin, so that in him we might become the righteousness of God.” If you have not trusted in Christ, then God sees you as having filthy rags and if you stand in your own righteousness before God someday, then you will die in your sins. No one is ever going to be good enough to save themselves. Trust God, repent from your sins, confess them to God, and then trust in the only name that can save you from the wrath of God…Jesus Christ. He is the one and only way to the Father (John 6:44) and there is no other way than through Jesus Christ (John 14:6). 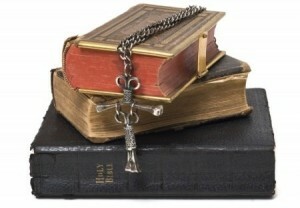 Great article; however, why do you NIV as a resource, and not the KJV, or the NKJV? I have read that the NIV has a lot of missing versus/text. I am not trying to question you, but just curious. Thank you Steven. I did not use the NIV. Did you check the translation. I don’t use the NIV and the KJV is hard for those from other nations who speak English. I prefer the NKJV but I 95% of the time use the ESV and so none of these are the NIV. Thanks Steven. Hey Jack, God Bless you. Sorry for I was incorrect, I just asked because of this underneath your blog. That lead me to think that you used the NIV. Thank you for answering me back. No problem Steven. I can see why you now said that and I apologize for that. I think that is standard use of the Bible for many but I like the New King James Version as well as the ESV. I am glad you pointed that out sir and I appreciate that and thank you sir. Others taken out of context I notice are basically every verse used against a woman by a man usually her husband to use as control. Church doesn’t bother to make sermons on this. Im pretty respect and ego stroking aren’t the same thing.. ..and I get told by husband to submit to his sinful ways of running a home and to lie for him. You are so right Hannag. Your husband is taking this text too far and making it into something that God never intended. Yes, women are supposed to submit to their husband, but only “in the Lord,” so he is taking this thing way too far. He is also not living up to the command that follows, for the husband to love his wife as Christ loved the church, and willingly died for her, so he is breaking this command and God will require it of him on judgment day. You are right to resist sinning because he commanded you too. Good for you for standing your ground. Will your husband speak with your pastor if you can both seek counseling, or is his heart so hardened by pride he won’t do it? If so, this man may not be saved at all and so let’s pray for him as only God can change his heart (Prov 21:1) and we can’t. Have me message me and I would be willing to speak to him. Col. 1:15 who is the image of the Invisible GOD, THE FIRSTBORN OF ALL CREATION. The capitalised letters are really taking out of context implying that Christ was created. but Indeed it talks about Christ being FIRST before every other thing and all things created through him. Second, Mat 16:18. The Roman Catholics take this as JESUS ordaining Peter as the first pope. Great points…and I had overlooked these so you are spot on brother. I could have included about a dozen and those are that I should have included my friend. Thank you. Great insight. I believe the “firstborn” in the Greek means “the preeminent One over Who is over all creation” is the better translation if you look at the original language of that sentence structure. The translators didn’t do a good job and the JW’s love to take that text out of context and make it a false pretext. Thanks my friend….I have heard this too frequently used to say that they don’t need church but this is clearly about church. Interesting isn’t it how we can take text and use it against its very purpose. Wow…I see your point my friend. How sad that this could have helped you by his reading this…but our heavenly Father wrote it by the Holy Spirit so we know that He always has our best in mind, even though we aren’t perfect and neither are our parents. Thank you sir. Thank you brother, as I said he was my biological father, for the last 35 + years I have had a Heavenly Father, who indeed does love us, and as a true loving Father has to chastise us sometimes. And His lessons are worth learning. Thank you Mrs. Monical. I am glad you want to know more. To receive the newsletter please find the place on this webpage where it “Sing up for our free Ebook and inspirational updates.” Just click on it and enter your name and email (which will be kept private) and you’ll be on our emailing list and thank you so much. I have had several instances where i thought this verse made people comfortable in things that God does not want. Justification being that God’s Grace is for us all nomatter what we do it is renewed in Christ Jesus everyday. Also “try me says the Lord and see if i will not open the floodgates of heaven”. My understanding was that this applied only to the issue of tithing and offerings in Malachi, but, it seems the general use is that we can try God in other things too. Or am i wrong here? Than you Taffy for your comment. Let me say that you bring up a good point. I believe that we are giving to the Lord as a way of showing our faith is real or as James says in his book, faith without works or evidence is not really faith because when we act in obedience to our faith we show it is real and not just talk. Abraham showed his faith was real by obeying God by offering his son. We are saved by works and as Martin Luther we are saved by faith alone but not by a faith that is alone. Does this make sense? On a similar point regarding our right standing before God. 14 What does it profit, my brethren, if someone says he has faith but does not have works? Can faith save him? 15 If a brother or sister is naked and destitute of daily food, 16 and one of you says to them, “Depart in peace, be warmed and filled,” but you do not give them the things which are needed for the body, what does it profit? 17 Thus also faith by itself, if it does not have works, is dead. (Jm 2:14-17). James is simply stating that there is fake faith and real faith. He goes on to describe the difference. He never says that through genuine faith we are not saved. He is simply saying that fake faith(without its demonstration through the works that accompany it) is not “Real” and won’t save anyone. We are saved only by the Grace of God. This Grace is freely given, not by us earning it, but by our belief in Christ, through faith(Eph 2:8,9). My point? Only Jesus is righteous. The emphatic jumps out here concerning the proclamation about “HIS Righteousness”. It is only as we believe in Christ, accepting what the Righteous One has done on our behalf that God covers us with Jesus’s Righteousness. This next point is crucial and sorely missed by many Christians, and I don’t want to be unclear. We are still not righteous, even with Christ’s covering. JESUS is Righteous and it is only through His presence in us by His Holy Spirit that we get to enter heaven and the Father’s presence….,because of the presence of Christ, within us, who is Righteous, not us!! Thank you Doc. If I did say that then I am a heretic. Could you quote me and see where I said that I was saved by works? I often do a poor job of communicating and so I have probably failed again somewhere and it is not surprising if you know me. Doc, I found my own error before I am heading off to work. I missed a word indeed saying to Taffy “We are saved by works and as Martin Luther we are saved by faith alone but not by a faith that is alone” which I meant to say “We are saved FOR works and as Martin Luther we are saved by faith alone but not by a faith that is alone.” so thank you for pointing out my error. I have no excuse and to Taffy, I apologize too. Blew it again. Thanks for your patience Doc and Taffy and all the others. You remind me of that correspondent who always prefaced his reporting by saying, “This is your humble correspondent here, reporting from…”, who was that, do you remember? Anyways, thank you for all of your efforts on this site, and the good food you feed your readers. Isaiah 53:5 …and with his stripes we are healed. I hear a lot of ministers use this for physical healing, but the context says that we are healed from our transgressions and iniquities. Amen Barry. Well said. It seems that fewer and fewer understand this today and isn’t the forgiveness of sins of more, lasting, and eternal value than being physically healed because everyone will eventually die a physical death but to be forgiven means eternal life. Thank you so much sir. WOW! Another terrific article with Scriptures! It makes me happy your sharing God’s Word with us, all for God’s glory!! Without HIM, we are nothing. Right, brother? Have been sorta distressed for a month or so by comments from siblings in Jesus on Facebook. Regarding: Which version of the Bible should Christians use? Both my hubby Gary & I read NIV Bible. In fact, our Pastor gave each of us a NIV Bible, and it’s the version used in our church. Pastor Jack, I’ve done enough studying of God’s Word using the NIV, sometimes comparing it with other versions, including KJV. Yes, some words are different, but the MEANING (or context) IS THE SAME! No matter what I respond to them on FB, they keep ‘debating’ that I’m dead wrong. Gary reminded me to just “Leave it to God!” So, I stopped commenting on this particular subject and am leaving it to God’s Holy Spirit to guide me, as well as my siblings. I absolutely refuse to believe the NIV Bible is not truly the Word of God, Pastor! Since I’ve earnestly, daily started reading & studying God’s Word (NIV) in late 2011, never have I felt such utter peace and joy within my heart, spirit, soul, my entire being!! And it surely is NOT coming from satan!! What would YOU have said to my siblings about this, Pastor Jack? God’s wonderful blessings & His graces be showered upon you, Pastor Jack, your family and your ministry!! Also for all my sisters & brothers here on this site!! Sweet JESUS loves you and so do I!! PRAISES, GLORY AND HONOR BE UNTO OUR FATHER GOD, HIS SON, JESUS, HIS HOLY SPIRIT!!! HOLY TRINITY, ONE GOD!!! HALLELUJAH, AMEN!!! I think Gary is right…the Holy Spirit is the True Teacher of all Scripture and it takes the supernatural work of God by His Spirit to show us our errors so trust God in this and just ignore their disparaging or critical words on the NIV. You can try and then leave it up to God. As for the NIV, the essential doctrines are spot on in the NIV and to have others tell you to not use it then I would ask them to review the main essentials like in Acts 4:21, Acts 16:30-31, Romans 10:9-13, John 3:16-18 (not just 3:16 because 3:16 is incomplete without John3:17-18). I assume that they are saved? If so, differing translations cannot affect a person in the essentials of the faith because the main thing is to keep the main thing, the main thing and that is Christ crucified for us. I prefer the King James and the New King James Version but study from the ESV and King James. I never rely on one translation alone. Also, blueletterbible.org is a great tool for study because it give the original Greek or Aaramaic (in New Testament) and Hebrew for the Old Testament to clarify the meanings more precisely. The point is, reading the NIV will not ever prevent a person from being saved and growing in grace and knowledge in Christ…and isn’t that the “main thing?” Blessings on you and Gary my friend. This is for DocReits (March 7, 2014)… OK? You’re so right about Pastor Jack! He truly is a loving humble man of God!! Tried to Google that quote, “This is your humble correspondent here, reporting from…” It sounded sooo familiar, the name, “Walter Cronkite” came to mind. Yet, when I Googled the quote, it would only show this particular site! God bless you and your family, DocReits!! A person will not be convinced of anything against their own will. Doc, my friend, you have been such a joy since you came to this site and I truly await with eager expectation to meet you someday, although it will likely be in the kingdom. I truly thank God for you brother, just as I do Patty. Happy Greetings, Pastor Jack & DocReits! Thanks bunches for your replies!! I loved what you wrote about “Paul didn’t read the KJV!” Definitely gonna remember that if/when another sibling in Jesus tries arguing w/me about the Bible! Have to admit, KJV does have colorful, delightful wordings; sadly though, too much so, I don’t comprehend. Yet, as Pastor Jack stated, “The point is, reading the NIV will not prevent a person from being saved and growing in grace and knowledge in Christ…and isn’t that the “main thing?” And YES, I do trust Jesus’ Holy Spirit to guide me in the ways God wants me to go! God’s wonderful blessings and His graces be showered upon both you, Pastor Jack & DocReits!! Thanks Patty…I do know that the Word of God has power to change lives and since we know that God is sovereign over all, He is not going to let someone lose out of salvation no matter what Bible version they read. Eph 1 & 2 show that God is the One Who elects and predestines and Romans 8 shows that nothing can prevent His will from being accomplished. Thanks for such encouragement my good friend and sister in Christ. Do you know what the context in Leviticus 25:44-46 is? I’m having a hard time understanding this context. Thank you for your time. To explain this and we must understand that this was under the Old Covenant which is no longer in force today…keep that in mind. In fact, much of Leviticus was given only to Israel and is replaced by the work of Christ as Calvary. That a native Israelite should never be made a bondman for perpetuity. If he was sold for debt, or for a crime, by the house of judgment, he was to serve but six years, and to go out the seventh this was appointed, Exodus 21:2. But if he sold himself through extreme poverty, having nothing at all left him to preserve his life, and if it was to one of his own nation that he sold himself, in such a case it is here provided. That he should not serve as a bond-servant (Leviticus 25:39), nor be sold with the sale of a bondman (Leviticus 25:42) that is, “it must not be looked upon that his master that bought him had as absolute a property in him as in a captive taken in war, that might be used, sold, and bequeathed, at pleasure, as much as a man’s cattle no, he shall serve thee as a hired servant, whom the master has the use of only, but not a despotic power over.” And the reason is, They are my servants, Leviticus 25:42. God does not make his servants slaves, and therefore their brethren must not. God had redeemed them out of Egypt, and therefore they must never be exposed to sale as bondmen. The apostle applies this spiritually (1 Corinthians 7:23), You are bought with a price, be not the servants of men, that is, “of the lusts of men, no, nor of your own lusts ” for, having become the servants of God, we must not let sin reign in our mortal bodies, Romans 6:12,22. That while he did serve he should not be ruled with rigor, as the Israelites were in Egypt, Leviticus 25:43. Both his work and his usage must be such as were fitting for a son of Abraham. Masters are still required to give to their servants that which is just and equal, Colossians 4:1. They may be used, but must not be abused. Those masters that are always demanding and domineering over their servants, taunting them and trampling upon them, that are unreasonable in exacting work and giving rebukes, and that rule them with a high hand, forget that their Master is in heaven and what will they do when he rises up? as holy Job reasons with himself, Job 31:13,14. That at the year of jubilee he should go out free, he and his children, and should return to his own family, Leviticus 25:41. This typified our redemption from the service of sin and Satan by the grace of God in Christ, whose truth makes us free, John 7:32. The Jewish writers say that, for ten days before the jubilee-trumpet sounded, the servants that were to be discharged by it did express their great joy by feasting, and wearing garlands on their heads: it is therefore called the joyful sound, Psalm 89:15. And we are thus to rejoice in the liberty we have by Christ. I understand that this is a lot of information but again, let me remind you that we cannot take Leviticus today and try to argue or ask why God did this or did that in the context of the New Covenant because these were more difficult and dangerous times. The vast majority of these nations were worshiping false gods and they were sacrificing their own children in the fire, can you imagine that!? So we see that Leviticus is NOT for the Christian church but was for the Old Covenant only and at a time when most of the nations surrounding Israel were extremely sinful and about as heinous and depraved as could be humanly possible and these nations were under the dominion and rule of Satan, the head of all false religions. Thank you for the response. The reason why I asked is because in Matthew 5:18 Jesus said that the law would not change. Some people use this quote to say that the Old Testament laws are still valid, but I think that Matthew 22:34-40 explains what the laws are. What do you think? Thank you Steven…I believe if you read past Matthew 5:18 you would see that he was talking about the Ten Commandments. If the law was not changed in the Old Covenant in the Old Testament then the sacrifices would still have to be going on but Jesus sacrifice was once and for all time. As for Matthew 22, they laws reflect a summation of the Ten Commandments because the first four commandments related to God and the last 6 to mankind relating to mankind. I think that we cannot take Leviticus laws and try to say that this is the law that Jesus was talking about. I agree with you Pastor Jack, that the Law is the 10 Commandments, and I believe, it is summed up in Steven’s comment also(Re Mat 22:33-40), that we should love the Lord our God with all our mind, heart and strength and Love thy neighbor as thyself…this is the broader summation of the 10 Commandments, and it is the “Law” the Bible talks about which will(in NT times, ie, the New Covenant) be written upon our hearts. All men “know” this, both Gentiles(unbelievers) and believers, “For when Gentiles, who do not have the law, by nature do what the law requires, they are a law to themselves, even though they do not have the law. 15 They show that the work of the law is written on their hearts…” (Rom 2:14,15). Further, believers know through the Holy Spirit those laws which are required of us. For why was the Holy Spirit given to us? Was it not to lead us into all truth? Is not the very Word and Law of God Truth? “However, when He, the Spirit of truth, has come, He will guide you into all truth; for He will not speak on His own authority, but whatever He hears He will speak; and He will tell you things to come(Jn 16:13). Christians know to do those laws required of us by and through the Holy Spirit. Is slavery something the Holy Spirit is whispering to you is OK to do, in present times? Should we sacrifice a lamb on this coming Sabbath? Should we avoid offering praise and service to God on Sundays and abstain from meat in order to satisfy a supposed requirement of the law? What does the Holy Spirit tell you? Pray and ask Him. Everything “needed” has already been done by Christ. That should be our first clue. Anyways, just further food for thought. Some people say that God is bad for killing people in the Old Testament. My response to that is that we don’t know if those people went to Heaven or hell. Do you know another way to better explain this situation? It is silly to say the least. Who would read only a portion of a letter or mail and base his decisions on that small piece of information? No… we need to read the whole letter… right to the end. They twist the scripture…especially the letters of Paul. Amen…I think to keep us from error, we need to abide in the Vine continuously and that Vine is the Lord Jesus or as you rightly use His Name, Roabbie and Yeshua. Spot on the mark Henry in all that you write here sir. An interesting read though, perhaps not entirely accurate. It would be a jump to say it’s ok to judge if we have no log in our eye. It also is a bit if a leap to say turn in our cheek it hyperbole. Jesus did not defend himself in the crucifixion story. Not an absolute but challenging to point 2. Humility is a helpful characteristic I wish I had more of. Loved reading your post and appreciate your wisdom. I have a question about the book of Deuteronomy. What is the meaning in Deuteronomy 21:10-14? I know that the laws in Deuteronomy don’t apply to us, but how do we explain some of them? For example, stoning a disobedient child. Thank you sir for your question. First of all, I am glad you want to know about the Word of God. Are you teaching your children about the Bible and God? I would tell them that this is breaking God’s Law and the Ten Commandments are for our good. If the children of that nation were allowed to rebel against their nation then they would throw the entire nation into chaos. That was written only to Israel however, as you said. The children are the future of the nation and if they wouldn’t obey their parents then they most certainly wouldn’t obey God. These are for our best. The Law of God is perfect, converting the soul (Psalm 19:7) and this one seems harsh but the outcome, years down the road would lead to the entire nations destruction. What would our nation be like if all the children rebelled against their parents? I hope that helps you Steven and again, thank you sir. What is the meaning in Deuteronomy 21:10-14? By this law a soldier was allowed to marry his captive, if he pleased. This might take place upon some occasions; but the law does not show any approval of it. It also intimates how binding the laws of justice and honor are in marriage; which is a sacred engagement. BY the way, do you have a Study Bible? This can help immensely in your questions. The MacArthur Study Bible (ESV) and the Reformation Study Bible (ESV) can really open our understanding. How can you be certain that the harm refered to it Exodus 21:22-25 is about the baby and not the mother? It seems like this is a great example of a passage that is ambiguous enough that people read into it whatever they want it to say. Some might think it is implied that there was a miscarriage…common sense would tell us that babies born prematurely in the ancient world would have had an extraordinarily high mortality rate. I’ve seen this verse used to defend both pro choice and pro life arguments so I’m always curious when someone sides one way or the other on it. Thank you Trey. Are you prolife sir? If the baby happens to miscarriage from the fight and the baby is lost, then it’s okay sir?? What do you think? As a young pastor, I am currently writing a series based of the many verses that are ripped from there context, and you have made a great start. The primary addition I would offer is Jeremiah 29:11: “For I know the plans I have for you” – all too often I have heard people use this to denote personal “victory” or prosperity after a season of challenge. This error is grating at best. In context, written to the national exiles of Israel held captive in Babylon by Nebuchadnezzer, the modern Christian could apply to collectively to the redemption of saints at the 2nd coming, and even that claim has some challenges. But to claim personal victory off this text is irresponsible at best, and self seeking. To make this claim of someone who does not know Christ as Savior and Lord is an affront to the clarion call of being disciple makers. Thank you Pastor Kris. I so agree with you sir. You sound like you are truly taking the text of the Bible in its proper context. Well done my fellow servant of Christ. For what it’s worth, the church discipline section is usually removed from its context. The whole chapter (the fourth discourse in Matthew’s gospel) is an answer to the disciples’ question who is the greatest in the Kingdom? Jesus describes becoming like a little child, not causing others to sin, etc. He then describes the one who goes looking for lost sheep, AND IN THAT CONTEXT describes the process of how far we are to go to attempt to reconcile. It’s not so much a church manual as it is a command to reconcile if at all possible! I agree 100% that God is more than love, but we cannot take his righteousness and justice as polar opposites. Eternal Conscious Torment in Hell is not discipline, it is torture. Discipline can feel like torment intentionally, but it is meant to be remedial. Great question Tony. I appreciate your hunger for the truth. I believe 2nd Chronicles applies to Israel and to any nation because consequences for obedience and disobedience of God’s Word still apply. One example about what laws are to us today and apply and those which don’t, look for these phrases “Say thus to Israel if you keep my Sabbath.” When God means something specifically for Israel, somewhere in the chapter it will mention them by nation. Thankfully, we’re not under the Mosaic law any more and it couldn’t help us anyway (Eph 2:8-9). There are certain universal principles and laws that apply to us all, as in the Ten Commandments. So, when you read an Old Testament laws and promises, see to whom the intended audience is…and then see if they mention Israel (or Judah or Jacob…another name for Israel) by name. I hope I have helped you sir. Can you direct me to any publications and/or articles speaking on how we can know for sure which OT scriptures are still for us today? Much like the oft quoted/discussed Jer 29:11, Mal 3:10, Phil 4:13 et al, I have been struggling with the very liberal use (maybe abuse) of 2 Chron 7:14 to somehow insinuate that if we just pray harder, then all the ills of the world will be righted. I cringe b/c I know the context of that scripture deals very specifically with praying toward the Temple that Solomon had just dedicated/built. Please read Leviticus 19 because I believe most of these laws of God are still relevant today because they fulfill the commandment to love our neighbor as ourself. I did a search for out of context verses, and I’m very surprised to see that there’s no mention of Ephesians 5:22 or Isaiah 40:22. Maybe it’s because I spend so much time in apologetics and am often discussing the Bible with non-Christians as a result, but those are definitely the most common ones I hear taken out of context. You have an interesting view, when you consider all of the old testament passages that New Testament writers quoted…I think many expository teachers today would find over 90% of their quotes “out of context” if they were quoted by some bible teachers today. For example, when Paul quotes Acts 13:47 he literally is taking a verse that pertained to the messiah and applying it to himself (see Isaiah 49:6). Anyway, I doubt there is much merit to the trend today among many expository teachers of saying verses like Jer 29:11; Romans 8:28; Phillipians 4:13, and many other good verses are taken out of context when people are taking comfort in those scriptures. Also, if you perform a study of how new testament writers quoted scripture, they often ripped them out of paragraphs. The word of God is living and alive…. If this out of context view goes much further in the church, I wonder if we’ll be able to take comfort in any scriptures? Like the verses in Psalm 23…that was “David” speaking, right? So, if you or I quote the passages, are we out of context because we’re not David? The whole old testament and some epistles were written specifically to Israel and the Jews….and many properties and scriptures have multiples references. Hopefully, the church can still read the bible today (although we’re not Israel) and feel the word of God applies to them without continually negating it by saying it’s out of context. Jesus was our example. What did Jesus do when He was spat on and beaten? When the Church was being terribly persecuted, what did she do? Did she fight back with physical weapons? Did the Church resist? There’s is not one verse in the bible that gives followers of Christ a right to use physical force. We are in a war, no thought about it. Paul said we fight not against flesh and blood, but against the powers of darkness. Paul also says that our weapons are not carnal. 36And others had trial of cruel mockings and scourgings, yea, moreover of bonds and imprisonment: 37They were stoned, they were sawn asunder, were tempted, were slain with the sword: they wandered about in sheepskins and goatskins; being destitute, afflicted, tormented; 38(Of whom the world was not worthy:) they wandered in deserts, and in mountains, and in dens and caves of the earth. I meant Jesus is, not was, but is our example. What a worthless site. I challenge anyone to use it. I tried three times. Forget IT. Hello Mr. Blanke. I am so sorry for the problems. We do thank you for visiting the site. If you have a question, you can click on “Contact Us” and we can make sure your post is on the site. Please click on this sir and let us know how we might be of any service to you. Thank you Mr. Blanke. You should be able to comment now Mr. Blanke, if you still want to. Hello James. Yes, God will heal you if you believe, but Paul prayed 3 times and God never healed him but it was in order to keep him humble. No human has this power so it’s wrong to say they have the power to heal the sick. Never does the Bible say that. Read the Book of Acts…it is always God who heals through using people but only when God wills and not when she or anyone else wills. I have concerns about people like this who say, “I have power to heal the sick” and so, even “to raise the dead.” I would be careful around people like that and not associate yourself with them. Hi Jack, do you believe in keeping the Sabbath? Hello my friend. I am not Jewish as the command for the Sabbath always had attached to it, “Thus say to the children of Isreal,” and besides, keeping the Sabbath cannot save anyone but only Jesus saves (Acts 4:12). It’s not a matter of what I believe but what the Bible says that really matters. Hello Steven and thank you sir for your question. God is not bad. Let me tell you that the nations that God destroyed, one for example, was one that burned their children in the first as children sacrifices…the Assyrians skinned their enemy while still alive and let them die slow deaths….the enemies of Isreal always had such horrible idolatrous worship tendencies that we so terrible that I cannot even describe what they did to their enemies and their own children! Whether they go to heaven or hell we don’t know. Do you mean the nations that were evil or the Israel people? we have to remember that God’s ways are higher than our ways and His thoughts are higher than our thoughts (Isaiah 55:9; Romans 11:33-36). We have to be willing to trust God and have faith in Him even when we do not understand His ways. GotQuestions.org gave a commentary that says “In regard to the Canaanites, God commanded, “However, in the cities of the nations the LORD your God is giving you as an inheritance, do not leave alive anything that breathes. Completely destroy them — the Hittites, Amorites, Canaanites, Perizzites, Hivites and Jebusites — as the LORD your God has commanded you. Otherwise, they will teach you to follow all the detestable things they do in worshiping their gods, and you will sin against the LORD your God” (Deuteronomy 20:16-18). The Israelites failed in this mission as well, and exactly what God said would happen occurred (Judges 2:1-3; 1 Kings 11:5; 14:24; 2 Kings 16:3-4). God did not order the extermination of these people to be cruel, but rather to prevent even greater evil from occurring in the future. Could this be why YHWH sent the flood and later also Israel to wipe them out? Thank you again sir…as for the Nephilim, specifically I don’t know but Gen 6 says for sure the reason was that “The Lord saw how great the wickedness of the human race had become on the earth, and that every inclination of the thoughts of the human heart was only evil all the time. 6The Lord regretted that he had made human beings on the earth, and his heart was deeply troubled. 7So the Lord said, “I will wipe from the face of the earth the human race I have created—and with them the animals, the birds and the creatures that move along the ground—for I regret that I have made them” (Gen 6:5-7). There went we but by the grace of God, right? I do agree that God used His nation, Israel, as a cleansing agent against sinful, pagan nations, who had stooped so low as to be sacrificing their own children in the fire and so no wonder God wiped them out lest they grow even more evil. This means that the law does not address all areas. Why are you wanting to know about these things that are invalid today? Why not focus on repentance, confession of sin, the blood of the Lamb, the cross, evangelizing the lost…you do know we are not under the New Covenant don’t you? Why are you stuck in the Old Testament Mosaic laws? for what is your reason? what is the purpose of your inquiries?